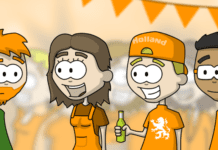 As an expat you may have noticed that Holland isn’t quite like the children’s books tend to suggest – not everyone wears wooden shoes, the little Dutch boy doesn’t have his thumb up a dyke to stop the leak but up a girl he met on Tinder, but more importantly not everyone is blonde and blue eyed. Or even Dutch for that matter. Lets look into a few of these groups of migrants in the Netherlands that seem to be an integral part of Dutch society but simultaneously not at all and why the hell they’re even here! Migrants in the Netherlands: Indische-Nederlanders & Molukkers: Plantation owners and a Train Hi-Jacking. Some of the first real immigrants that arrived en masse were the “Indische-Nederlanders”, which translates into “Indo-Dutch”-people, together with the Molukkers, after the Dutch East Indies fell. Migrants in the Netherlands: The Indos – The slightly aloof, food-loving, white-brown Dutch. To clear something up, there’s a lot of confusion of who and what specifically “Indos” are, even amongst themselves, but we’ll get that straight. A lot of people under the impression that any Dutch person mixed with Indonesian-blood is an Indo, they’re incorrect. Not because there’s anything wrong with the latter, but because being “Indo” was actually a nationality that, today, doesn’t exist anymore and is now only passed on by heritage. Indo people were people officially confirmed to have mixed-race heritage who were born in the Dutch East Indies colony, it allowed them special privileges that regular “pure blood Indonesians” were not – or at least not automatically – which, indeed, was somewhat of an Apartheids-regime. Indo-people were essentially raised “Dutch” while living across the globe from them, speaking the Dutch language, being taught Dutch history and geography and usually heavily into Christianity as opposed to the now dominant Islam in Indonesia. Many of the Indo-people were relatively well-off, they had proper jobs as part of the Colonial Government, served in the military, had medical or educational-jobs and owning rather large plantations was not uncommon. If you ever get to snoop through the photo books of an Indo-family odds are you will see many men in military outfits and often women in semi-Victorian style dressing sitting on the porch of impressive plantation houses. Basically, they usually had pretty good lives up until the Japanese invaded during WWII. Mass amounts of Indos were sent to camps and many never came back. After the war the indigenous Indonesians, rightfully, were fed up with being second rank citizens in their own country. A gruesome conflict ensued, in which the Indos backed the Dutch rule, and in the aftermath of the Independence War from 1945 to 1949, from which the modern day Republic of Indonesia arose, at least 200,000+ people left the Dutch colony for “Holland”. 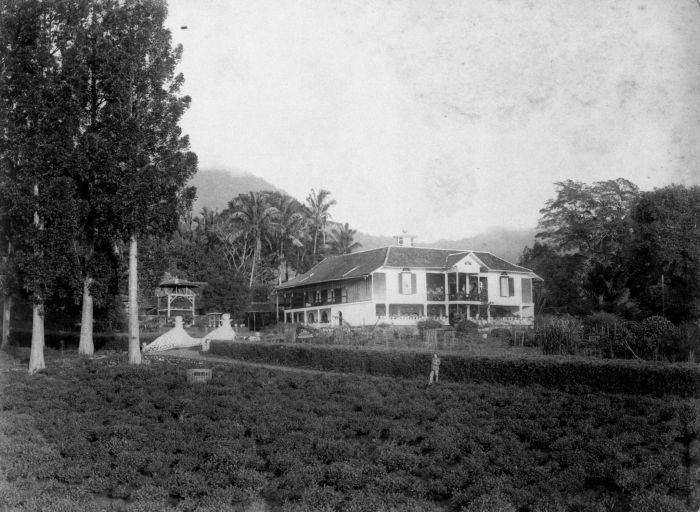 Common plantation houses in the Dutch East Indies, usually owned by European or Indo-people. In comparison the small housing they received upon arrival in Holland were quite a shock. Upon arrival the Indos weren’t met with much sympathy, the country had just made it out of WWII itself and wasn’t very interested in the war traumas of overseas citizens. But the Indos, well-familliar with the culture, did in fact set to work to establish themselves in their new home country. Today they are some of the most common and accepted people in the nation – in fact everyone knows someone with some Indo-heritage – guaranteed. And in many cases, people don’t even know they have some because frankly, nobody cares anymore! It’s normal! Most Indos today are still, somewhat, true to their heritage as many work for the government, serve in the military and skills such as speaking absolutely perfect Dutch, getting higher-educated, having a successful career and so forth are stillmore of an obligation than a choice for any Indo. Amongst the Dutch they are so accepted that people often forget they’re talking to someone of a mixed-race ancestry, which can be very awkward when semi-racist jokes come up, but are generally appreciated for their fondness of tasty food and drinks (which you can try yourself at the hundreds of Indo(-Chinese) Restaurants nationwide), their intelligence and humor, their seamless integration and generally calm demeanour. However, it must be said, that Indos are often the slightest bit aloof – perhaps it’s the colonial heritage, but older generations of Indos aren’t always necessarily very accepting of other people. They are, perhaps rightfully, proud of their standing in Holland and don’t appreciate other minority groups who fail to do so – forgetting they themselves had a historical and cultural edge to begin with. 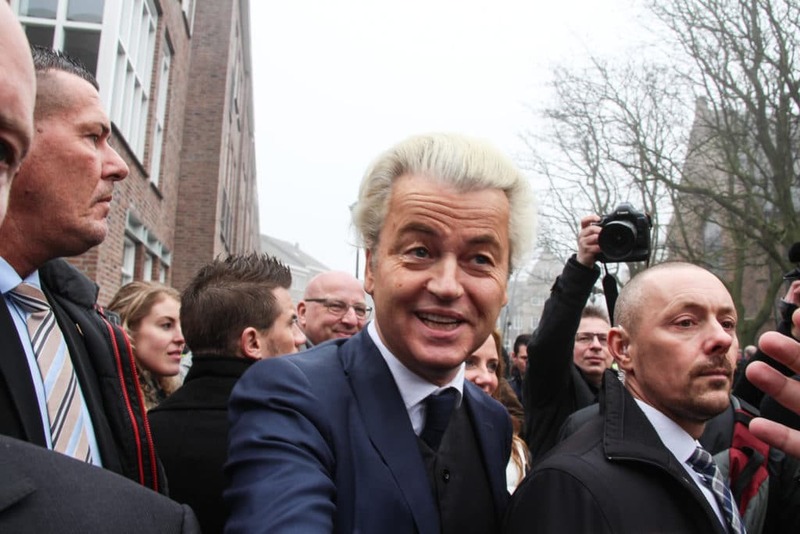 The most intolerant Indo of the Netherlands, Geert Wilders. If you’re wondering if there’s any famous Indo-people; how about the rocking Van Halen-brothers? Soccer star Robin van Persie? And, get ready for it, Geert-f#cking-Wilders himself. Yes, really. These are just some of the, by now easily surpassing a million, of Dutch with an Indo-heritage, including yours truly. We’re everywhere and that cute Dutch boy or girl with the blonde hair and brown eyes you secretly have a crush on may just have that bit of Asian heritage. And they might not even know it themselves. Migrants in the Netherlands: Molukkers – The furiously loyal, controversial Oceanians. Moluccans arrived in the Netherlands jointly with the Indos for the same reason – the Dutch East Indies had fallen and there was no space for them in the new nation. At least, not for as far as the Indonesian and Dutch government cared, and it was the start of a rough ride for everyone involved. The Moluccan people, much like the Indos, served in the Dutch East Indies-military and as such helped the Colonial Government stay in control of the Indonesian islands and its populace. Once civil unrest broke out over Indonesian independence, the Moluccans were quick to back the Dutch government – especially with the promise of their own independent country, the Republic of the South Malukus. The reason is that the Indonesians (and by extension the Indos) and the Moluccan people are in fact ethnically completely different. The first are ethnically Malaysian-Asians, whether mixed or not, while the latter are “Oceanians” such as New Zealand’s Ma’oris or the native people of Hawaii. That the Maluku islands were once administered to the same colony as Indonesia, was simply a tragic topographic co-incidence for the locals who never felt much Asian and certainly not “Indonesian” to begin with. Needless to say, when Indonesia gained independence, their own island nation was out of the question and a crack down for choosing the “wrong” side was imminent. As such the Dutch government ordered all the Moluccan troops to ready their families and belongings and ship out to Holland. And so they did. 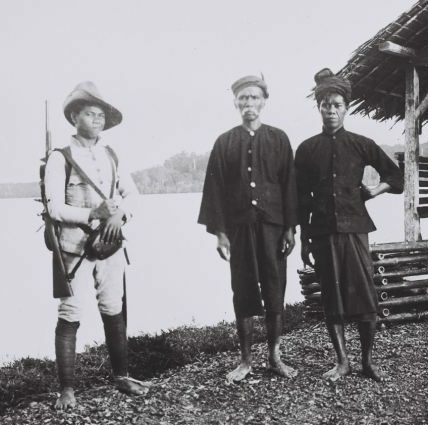 Moluccan soldier (left) guarding two slave laborers in the Dutch East Indies. Upon arrival they were told they would probably never be able to go home again, which broke more hearts and shattered more souls than could be put into words – but true to their ancient warrior heritage the Moluccans swore everlasting loyalty to their home islands and demanded the Dutch fulfil their promise of independence and to negotiate with the Indonesian government. The Dutch and Indonesian government however brushed things off. And that doesn’t go well with people of a furious past. Beginning the seventies young Moluccans, who had grown up in terribly poor housing – even former WWII prisons camps – provided by the Dutch government, grew a violent resentment towards the nation and threatened to take action if their demands were not met. And so they did. It was Holland’s first experience with terrorism when young Moluccan “Extremists” began taking hostages, even attempting to capture the Queen, and then gradually increasing the severity of their actions with a height in 1975 and 1977 when passenger trains and an elementary school were taken hostage. The 1977 double hostage situation of the train and school ended spectacularly when fighter jets sonic boomed over the train while special forces Marines entered the compartments and took out all but two of the hostage takers – sadly two passengers were also killed. At the school, none were killed or grievously injured. Needless to say it made life difficult on all parties involved – the Moluccans themselves, many of who did not support violent action, the Indos who had often served side-by-side and the Dutch who felt deeply betrayed and angered over such actions. As such the Moluccans today still haven’t been as accepted as their Indo-counter parts – though the violence has almost universally ceased, tensions do occasionally flare and certain groups are still active underground. 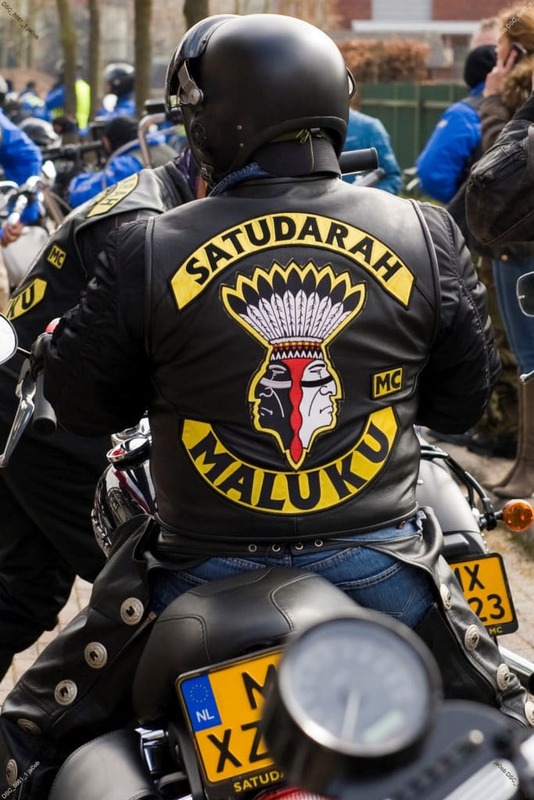 Today the Moluccans are also well-known for their outlaw biker gang “Satudarah” which has successfully grown to become the second largest biker gang of the country who openly, sometimes violently, clashes with the Hells Angels and is closely monitored by the police. But, thankfully, things are improving and you will find many Moluccans today happily adjusted and comfortable in their Dutch lives. But when Indo and Moluccan people meet for the first time you might still see a quick spark exchanging in their eyes before sharing a warm smile or a handshake, especially for current generations we are happy to share a common past and let darker days be. Migrants in the Netherlands: Surinamers & Antillianen – The Warmest People in Holland. You can usually distinctively tell them apart from Africans – the black Surinamese and Antilleans. However Suriname is a country of many people, not just Afro-Surinamese, surprisingly a majority of the people are actually Asian such as the “Hindustan”-people, but also has a minority of white-Europeans, and Amazonian-Indian people. And even though Suriname and the Antilles are considered Caribbean, Suriname isn’t, and they speak completely different languages – are you confused yet? It’s a little bit of a forbidden love, but Holland has a crush on the warm, passionate people of Suriname. Suriname is the result of the Dutch trading in New Amsterdam (New York City) for an English colony in South America. That may seem like a bad deal, given NYC’s fame today, but realistically the Dutch made the right choice. America gained independence in 1796 and the British Crown lost New York and much more with it. Suriname however was a Dutch colony until 1975. Afro-Surinamese were the first real black people in the country and have been here, whether or not in small numbers, for quite some decades – including before 1975 it was not completely uncommon to meet black Surinamese in major cities. But when the country gained independence in ’75, a true exodus happened when tens of thousands of Surinamese left their country and came to the Netherlands in and another exodus when civil war broke out in Suriname in the 80’s. In fact, of the 800,000+ Surinamese people on the globe, about 330,000 reside in Holland. But, as said before, Suriname itself has a majority Asian-population of which the Hindustan-people are most prevalent and trace their history to modern day India. Other sizeable Asian minorities are the Chinese-Surinamese and the Javanese (Indonesian) Surinamese. All of these people together have created a fantastic blend of cultures that have a curious past and a bright future, at least in Holland. Their Surinam-cuisine is also a rich blend of Asian and African foods that have mingled into something amazing and is very much worth trying out! In fact, even as an Indo myself, I wildly prefer going to a Surinam-Restaurant over the common Indo-(Chinese) Restaurants! 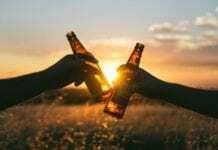 The Surinamese are also known for their laid back but generally upbeat spirit, if you enjoy parties be sure to invite your Surinam friends, colleagues and neighbors – it might get loud and late but few people know how to party like those from Suriname! Generally the Surinamese people have integrated well in Holland, somewhat like the Indos and Mollucans, they too often had at least basic knowledge of Dutch culture through their childhood education – speaking the language, knowing basic geography and history of Holland were commonplace. And, more importantly, Surinam parents and teachers are the strictest you will ever find – whether Afro-Surinamese or Asian-Surinamese – believe them when they tell you stories that you disobey a Surinam-parent or teacher once. Once. As a result you will find many Surinam people in managing positions throughout Dutch society – or on television and other media. 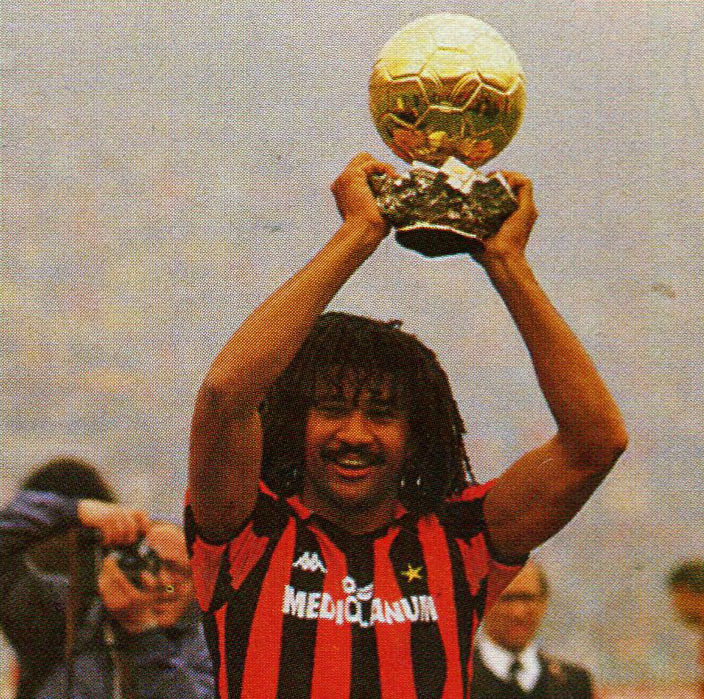 Ruud Gullit holding the Ballon D’Or prize for Best Player in his A.C. Milan-shirt – 1987. Gullit is now Assistant-Coach of Oranje. But there’s one quality that the Surinamese excel at, and what is really the reason behind Holland’s love for them, they are the driving force behind successful Dutch football. From Ruud Gullit to Patrick Kluivert (and his son Justin), from Edgar Davids to Clarence Seedorf – all are of Surinam ancestry and soccer legends in and outside of the Netherlands. In fact, if you’ve watched the Dutch national team “Oranje” play – you might be surprised that at times a majority of the team on the field are actually different shades of black and brown. And that’s nothing to underestimate! 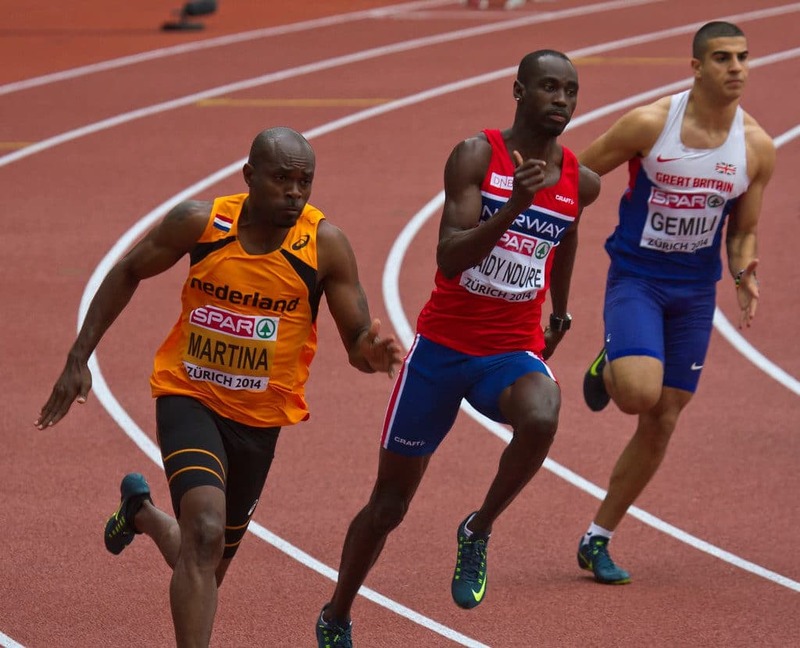 The Surinamese are proud of their athletic ability and have firmly established themselves as some of the most successful and dedicated athletes in the country. Though “Every Surinamer knows how to play soccer” is a bit of a stereotype, there’s certainly a truth to it – even in school most of us known they’ll outperform the rest of us. The best part about that is though, they’re usually good sports about it. Though most Surinamese speak fluent Dutch, often without a hint of an accent, you will often hear them speak Sranantongo – their native tongue – amongst each other as ties to their homeland are still strong. Their native language is a mixture of English, Creol, Spanish and hints of Dutch – it’s borderline impossible to follow for non-Surinamese but with their numeral presence in school and media, a lot of young Dutch teens can speak and understand at least some phrases. So don’t be surprised if you see the blonde Dutch kid hang out with his or her Surinam-friends and kick in something that doesn’t even remotely sound like Dutch. 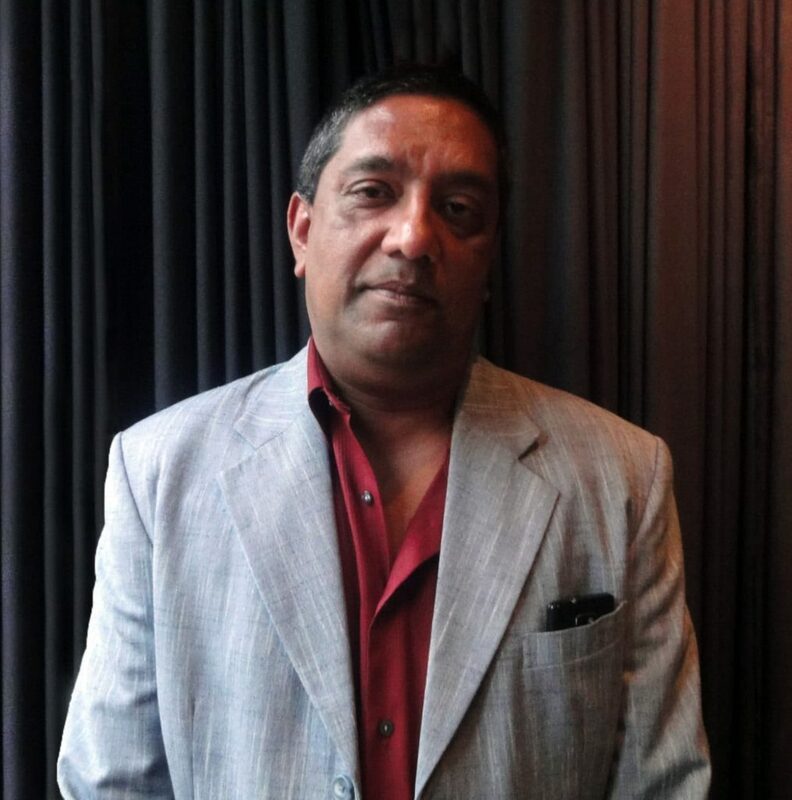 Prem Radhakishun – A Hindustani-Surinamese and notorious media personality. Aside from the aforementioned Surinam soccer players, other major celebrities include journalist and talkshow host Umberto Tan (of mixed Chinese-Afro Surinam ancestry), Sylvana Simmons (former DJ/VJ and now politician), DJ’s AfroJack and Sunnery James, but also Asian-Surinam people such as Prem Radhakishun who is a famous lawyer, critic, journalist and radio- and TV-producer. Migrants in the Netherlands: Antilleans – Those who bring the Caribbean-spirit to Holland. They’re loud and proud, they have a temper but they love life – the “Antillianen” originate from the Netherlands-Antilles, which is still part of the Kingdom of the Netherlands, and together with the Surinam people have brought some well-needed warmth to otherwise chilly Holland. Though their islands may be tiny spots just off of the coast of Venezuela – their ways are big. 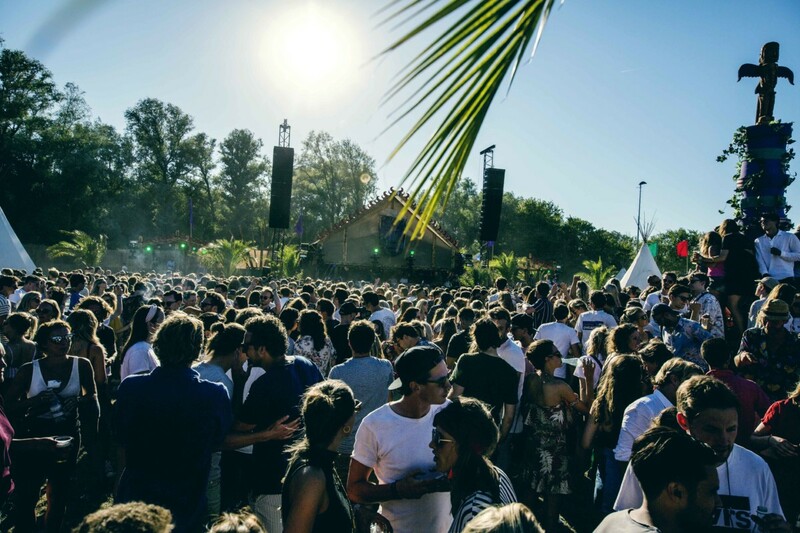 If you’re looking for a buzzing people, look no further – the Antillianen got you, fam! Because of their direct ties to the Netherlands as part of the Kingdom, the Antilleans have a large presence in the country and can be found in large numbers all throughout the major cities. With their Caribbean-spirit they are lively and hot tempered but also love to laugh and are never far away from any action. But they do differ from the Surinam-people quite a lot, for one the Netherlands-Antilles are fairly homogeneous – featuring a predominantly black population (85%) and minority white population. They also speak a completely different language of their own – Papiamento, a mix of Spanish and Portuguese which is easy on the ear on itself but where’s the fun if it’s not spoken at full volume? And so they do! They also differ in their social standing, where Surinam people generally have a moderate to well social standing, Antilleans have a slightly less successful integration. The Antilles education has been somewhat lower standard in the past than that of Surinam and of a lower economic standard, which has reflected in their community in the Netherlands as well with relatively high crime numbers and low-income. Today, thankfully, they are improving as a community both within the Netherlands as well as back home on their beautiful islands who are now tourism hot spots and receive significant support from the Netherlands in order to further improve relations and the economy. They were also recently in the news when the island of Curacao held elections that could’ve been decisive in whether or not to stay part of the Kingdom of the Netherlands, which resulted in a strong win for parties that are pro-Kingdom and so they will remain part for the foreseeable future. Famous Antilleans include TV-host and stand-up comedian Jandino Asporaat, Olympic athlete Churandi Martina, singer Edsilia Rombley but also well-known 70’s music group Boney M had a hint of the Antilles with Bobby Farrell coming from the island of Aruba. 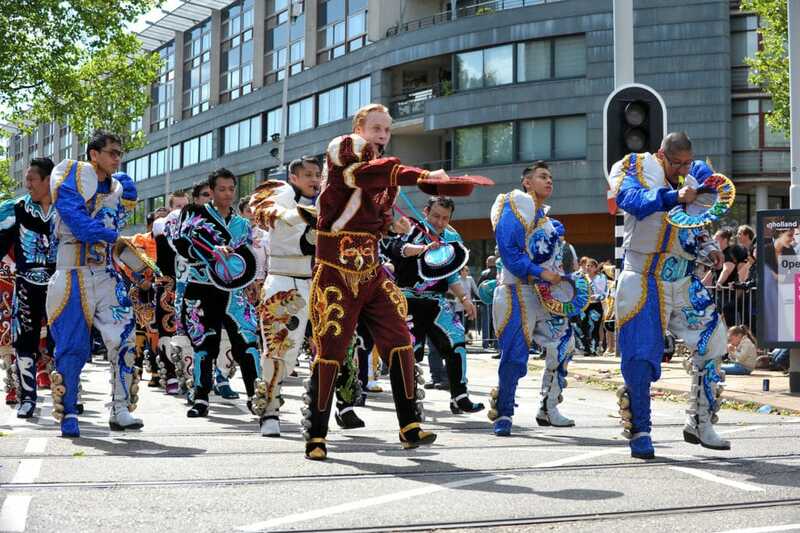 And if you’d like to see just how lively the Antillianen are, be sure to visit Carnival in Rotterdam where the Antillianen (and the Surinamers) will show you how to party so hard that you won’t be able to hear for three days but at least you saw a lot of nice butts wiggle. And that’s worth something too. Part 2 of “All Turks back to Morocco” coming soon: Migrants in the Netherlands: The Migrant Workers & The Asylum Seekers. Thanks for the cultural insights and history lesson. This is one of the most articulate and best thought out articles I have read on DR so far. Looking forward to part 2 so I can learn more, because to live happily in the Netherlands one needs to understand the diversity of the Dutch people’s history and heritage and show respect to EVERYONE who lives there.